Rock On Beverage Napkins – Take your party from great to epic with these awesome beverage napkins! 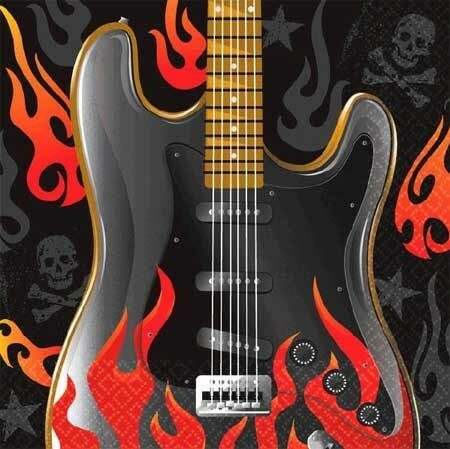 Featuring a flame guitar design with these 2 ply napkins you can give any event a little extra edge! An awesome way to make the big day memorable. Set of 16. Size: 5″ x 5″ (folded).